Evergreen Countdown timer plugin comes with a few options that help you build the perfect countdown timer for your site or your landing pages. Once the plugin is activated just click on the "Add new" button and start create your first countdown. Below a screenshot of the first settings, where you choose the logic or your countdown. You can create a one-time countdown or an evergreen countdown. You can choose the detection method: if Cookie, IP address or both - the redirect URL that will be called when the timer reaches zero and the automatic resetting time, where you can set a certain period (in days) where the timer will reset, and the original page will become again available. The next step is the aspect of your countdown. 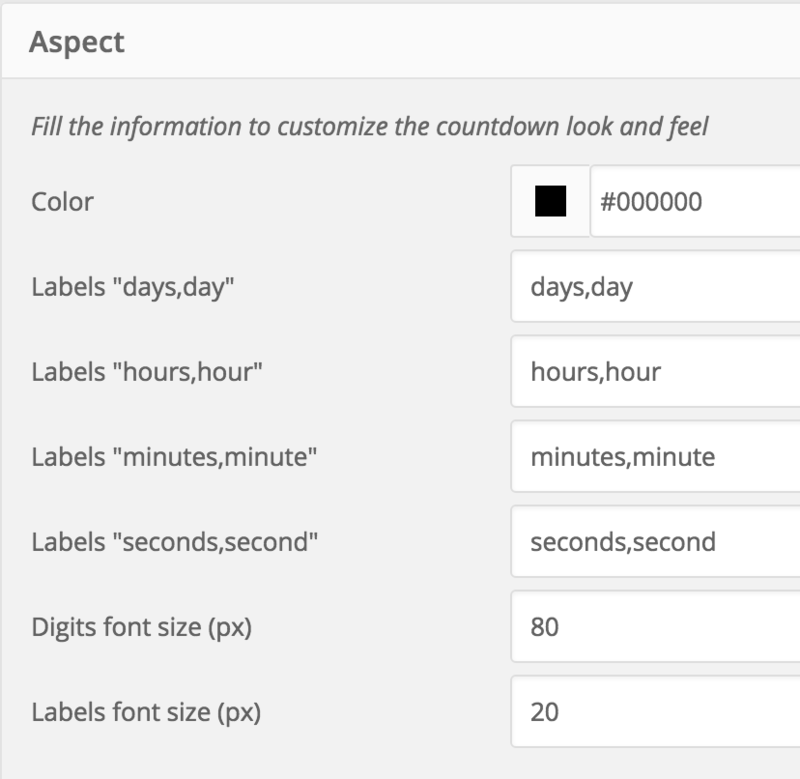 Be aware that some options like FONT or alignment can be set within your WordPress visual editor, applying the font and the alignment at the shortcode, the changes will be reflected to the timer in the frontend of your site.